CityLab, a global cities summit organized by the Aspen Institute, The Atlantic, and Bloomberg Philanthropies to address urgent urban issues, is coming to Detroit next month and will feature such speakers as Mary Barra, chairman and CEO of General Motors Co., and Michael Bloomberg, former mayor of New York City. 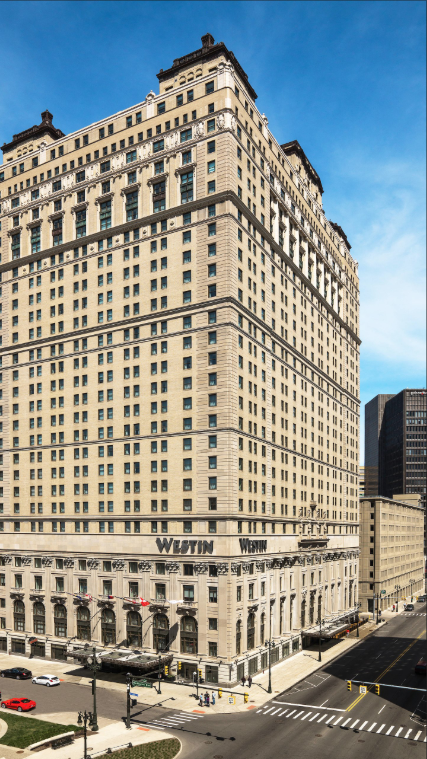 Following last year’s event in Paris, CityLab Detroit will take place at the Westin Book Cadillac Hotel from October 28-30, with additional site visits and events to be held throughout the city. This is the first time the event will take place in a heartland city. Some of the mayors who will attend CityLab Detroit are from the following cities: Akron; Albuquerque; Anchorage; Athens; Atlanta; Baltimore; Braga, Portugal; Camden; Charlotte; Durham; Henderson, NV; Lansing; Long Beach; Miami; Oklahoma City; Palermo, Italy; Quillota, Chile; Saltillo, Mexico; San Jose; Santiago, Chile; Seattle; Sintra, Portugal; Stockton; St. Louis; St. Paul; Utrecht, Netherlands; and Tacoma. Individual sessions will explore topics that include new urban technology and design trends, how to build stronger city communities, and stories from local entrepreneurs. The first CityLab summit was held in New York City in 2013, and subsequent events have been hosted in Los Angeles (2014), London (2015), Miami (2016), and Paris (2017). Over the last five years, CityLab has involved participants from over 400 cities, including hundreds of mayors.